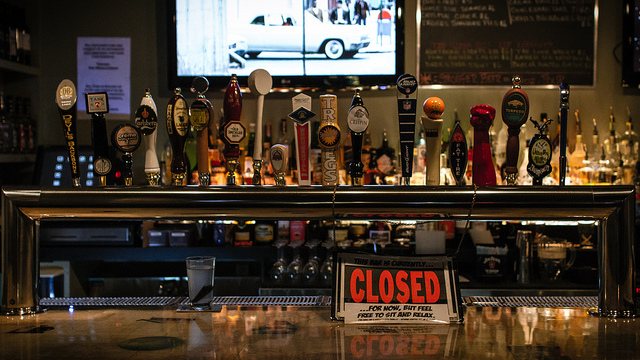 PoPville » Dear PoPville – Bars Not Accepting Paper DC IDs? Dear PoPville – Bars Not Accepting Paper DC IDs? Has anyone had issues with an official, but paper, copy of a DC ID at area bars? Friday night a group of friends and I were celebrating my birthday and heading to HOGO for some cocktails. A few friends were meeting there, a few had already made it and were saddled up at the bar, the rest of us were arriving from dinner. When I got there my friend was on the sidewalk with a frustrated look on her face. She and my husband were arguing with the bouncer, who claimed that he was also the manager, about her being permitted in with this form of identification even though it reads This paper driver license is valid for 45 days. The paper driver license, including your photo, is acceptable and serves as your driver license until your card arrives in the mail. Carry this paper driver license with you while driving until you receive your driver license in the mail. If you received your driver license within 15 days, please call 311, the Citywide Call Center, or… None of us were even close to 21. Her ID at least identified her age as legal. Oh yeah, and she’s 7 months pregnant too. He said it wasn’t valid and that she needed a passport. As I understand it, she and her husband just bought a house and were offered some sort of rebate that required them transferring their out of state IDs for DC licenses. Their former IDs got a hole punch through the expiration date and they were issued these temporary paper copies. And not everyone has a passport, much less feels comfortable carrying it around. Some people in our party pressed why do you care, you’re closing in a few months anyway? Another member of our party called the 311 number. When he reported the situation and said the ID holder was 7 months pregnant, the officer laughed. Later that weekend while out with the same friends, her husband used his paper ID all day at Nationals Stadium to buy beer. Photos from PoPville – I don’t mean to be disrespectful but – Ha!